Greene County Republican Central Committee members appointed Kraig Hagler with a majority vote. Six other men submitted letters of interest for the position and spoke at the Jan. 24 meeting. Lee Barker II of Fairborn, Karl Kordalis of Centerville, Trent Licklider of Xenia, Jarrod Martin of Dayton, Ryan Rushing of Beavercreek, David Simic of Xenia and Zach Upton of Dayton also applied for the appointment. Kordalis removed himself from the list last week. 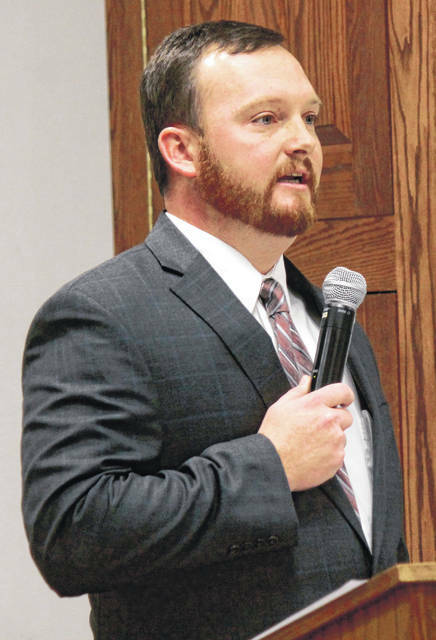 https://www.fairborndailyherald.com/wp-content/uploads/sites/50/2019/01/web1_Hagler.jpgAnna Bolton | Greene County News Kraig Hagler of Xenia speaks to the Greene County Republican Central Committee Jan. 24 before his appointment to county treasurer. https://www.fairborndailyherald.com/wp-content/uploads/sites/50/2019/01/web1_Hagler2.jpgGreene County Republican Central Committee members appointed Kraig Hagler with a majority vote. 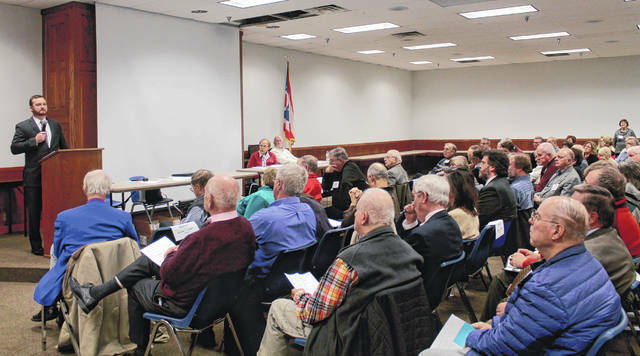 Six other men submitted letters of interest for the position and spoke at the Jan. 24 meeting.